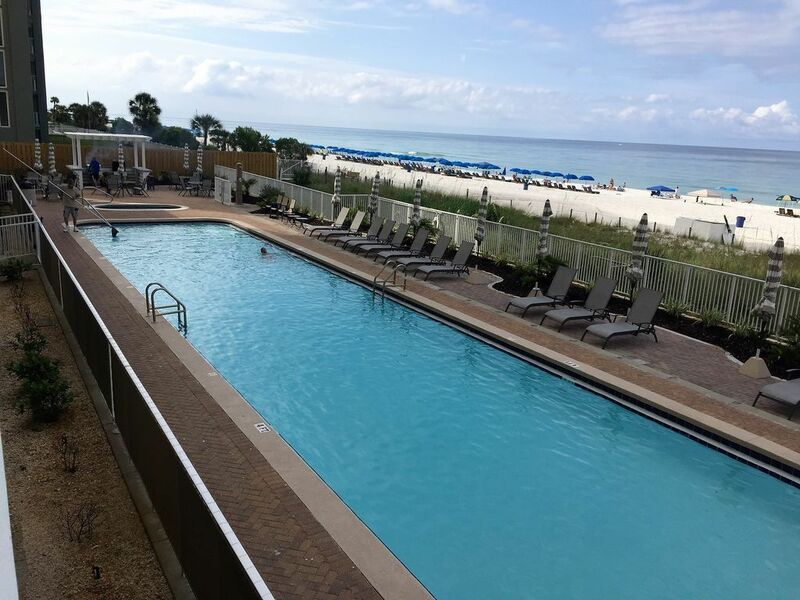 Begin your day at the Twin Palms Resort in Panama City Beach by eating breakfast on our large oversized private balcony and watch the stingrays and maybe even see a whale!! We are on the 11th floor (really about the 8th cause there are 3 levels of parking). There are spectacular views from both the master bedroom and living area of our condo. 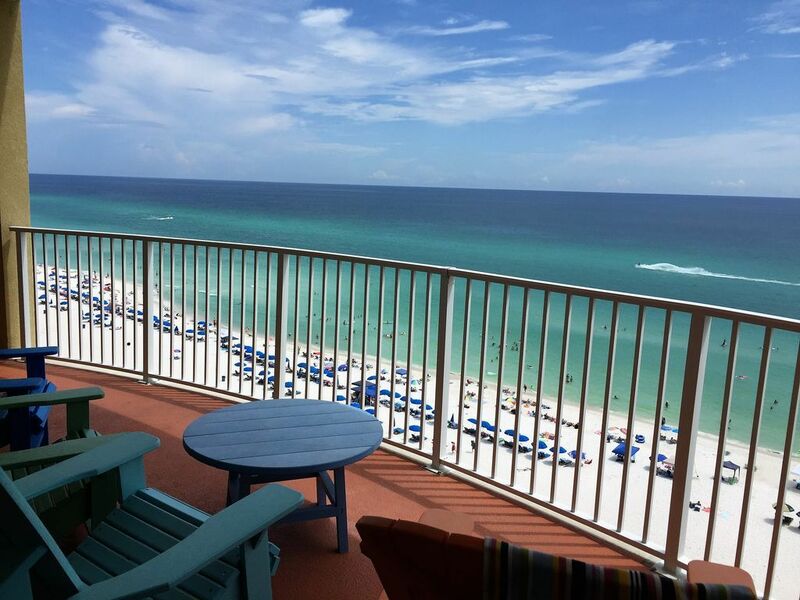 Our condo is locate right next door to Fort Walton Beach and Destin area. You can then venture out to relax and play in the emerald blue waters adjacent to the world’s most beautiful beach! 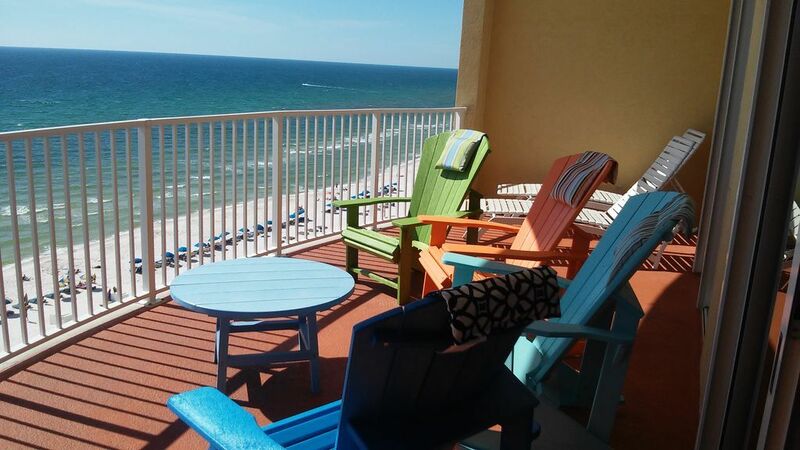 Sink your toes into the crystal white sand surrounded by a rich tropical paradise and the cool ocean breezes of the Gulf of Mexico. 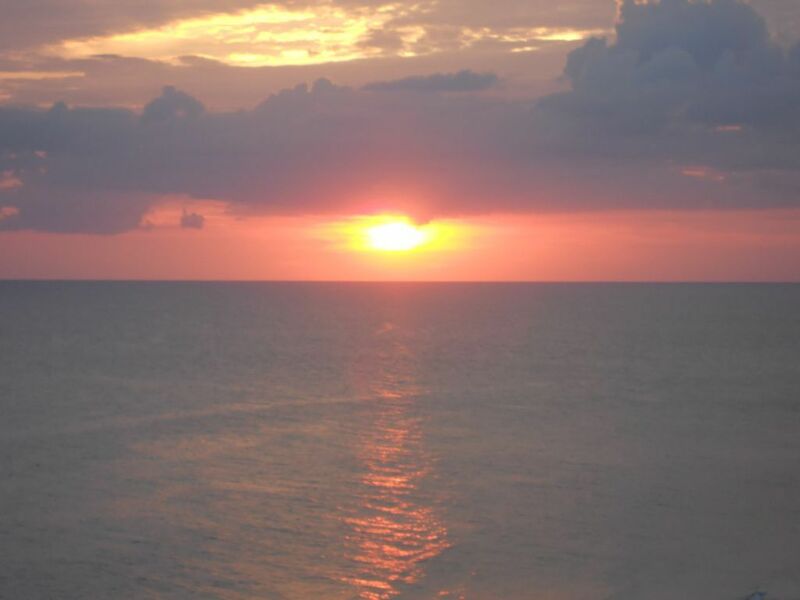 Finish your day by watching one of the most breathtaking sunsets of your life from our spacious balcony. You can escape from the hassles of the world into one of the most pleasant vacations you can imagine. 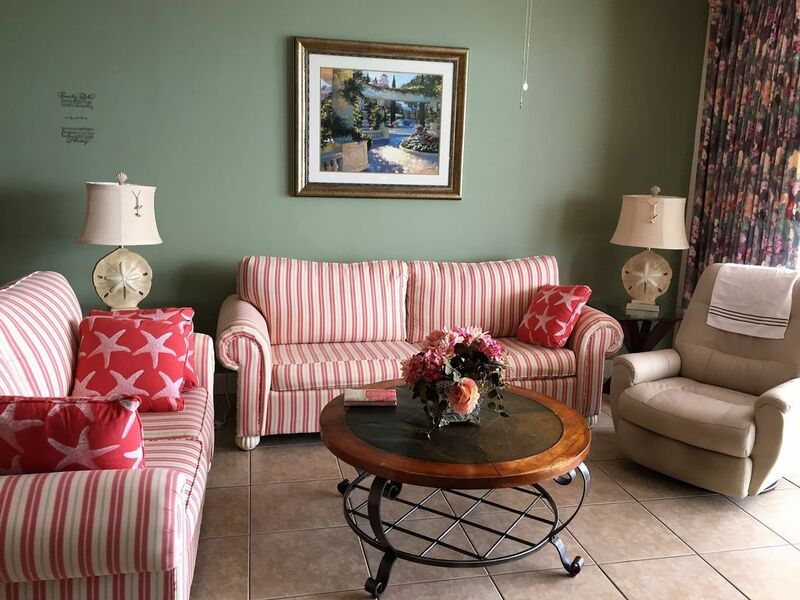 Our two bedroom, two bath, oceanfront condo at the Twin Palms Resort features a spacious floor plan, nine foot ceilings, crown molding, granite kitchen countertops, luxurious custom cabinetry, ceramic tile floors, cultured marble vanity tops and an over-sized open balcony. 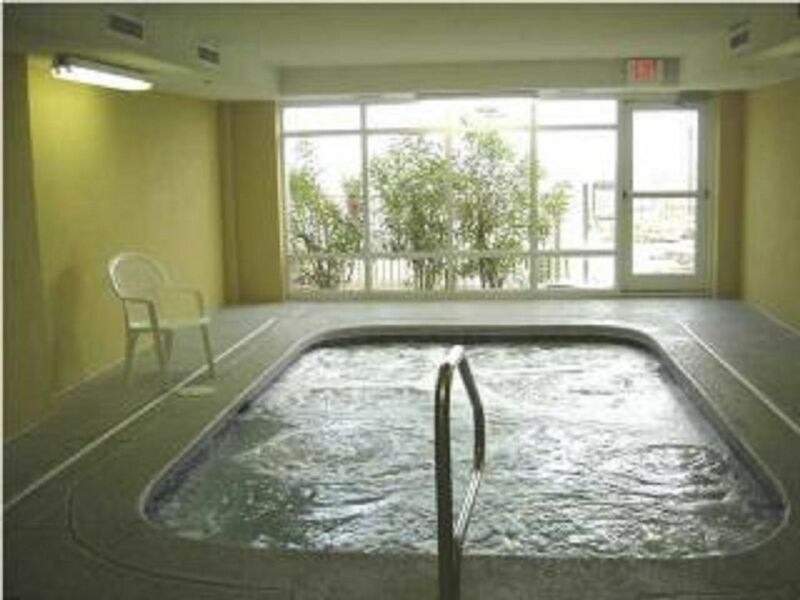 It also offers covered parking, lush landscaping, a heated pool, sauna, two hot tubs, steam room and an exercise room. 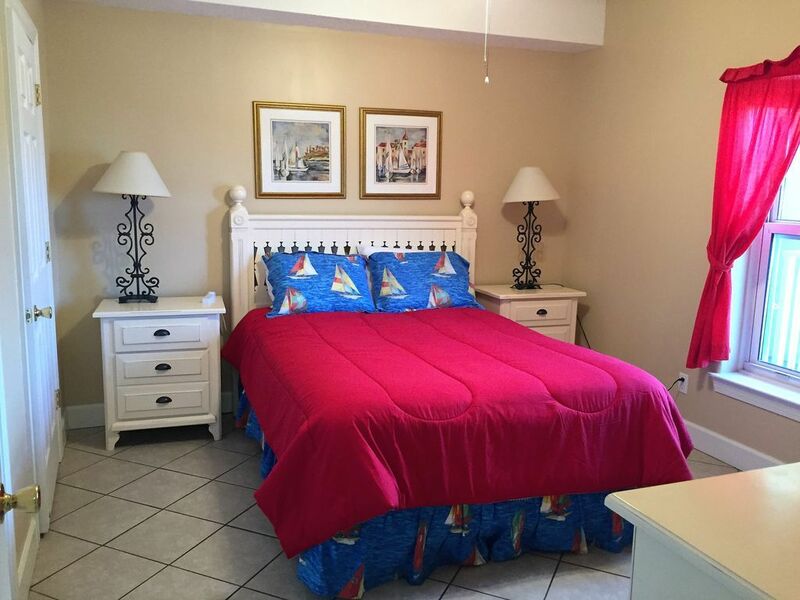 Each bedroom has a queen bed and there is also a sleeper sofa in the living room area. It sleeps six. 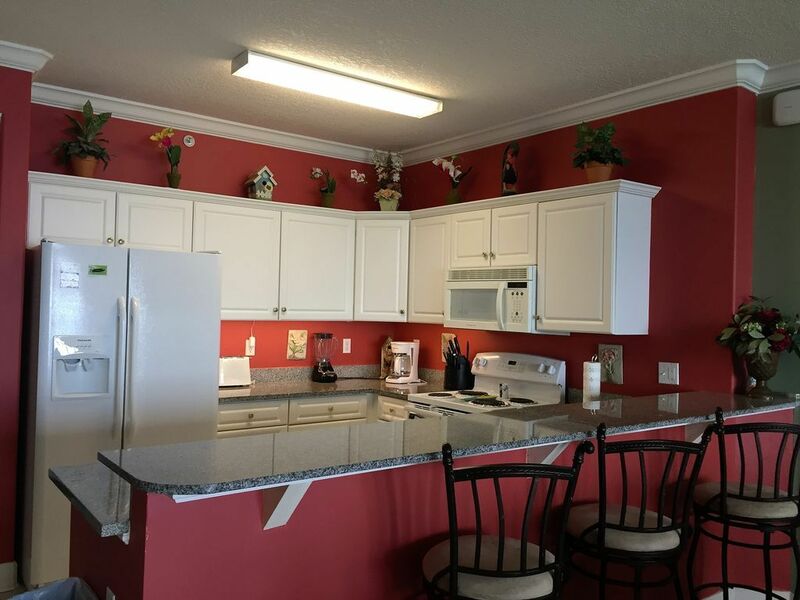 Our fully-equipped kitchen has a stove, microwave, and dishwasher. 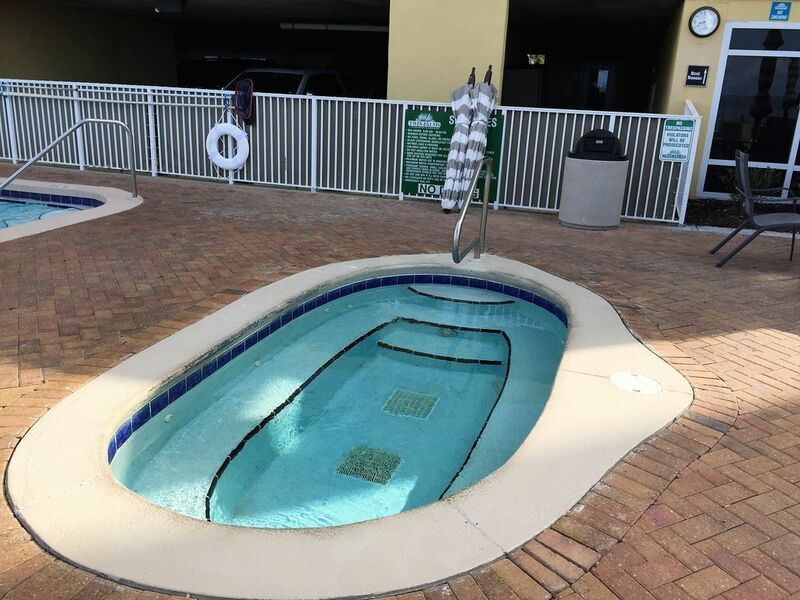 Linens are provided and the washer and dryer is located inside the condo. 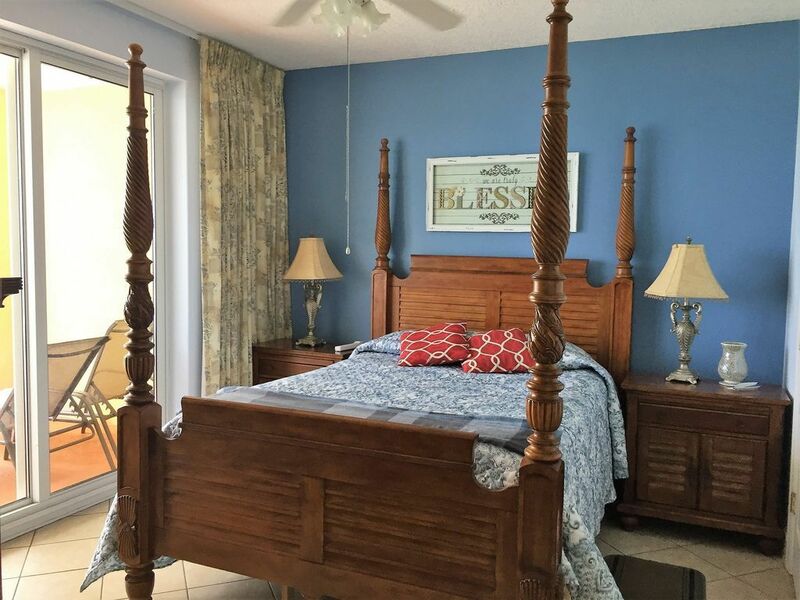 Family activities in the area include the Miracle Strip Amusement Park, water parks, Championship Golf Courses, great shopping, miniature golf, deep-sea fishing, scuba diving, snorkeling, and a variety of restaurants. Reserve early for prime vacation weeks. Nearby is a fishing pier extending far into the Gulf. We have Pier Park which is a Great Place for everyone!! 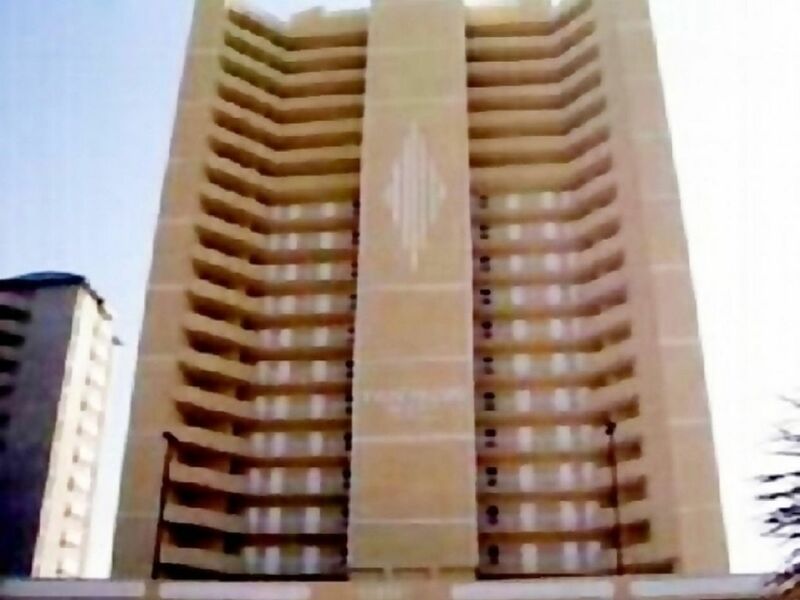 The Resort is just minutes from Shipwreck Island Water Park, Gulf World, which offers a great dolphin show and a great evening lazer show, Ripley's Believe It Or Not Museum, Wonder Works, Great Seafood Restaurants, Golf Courses,Dolphin Feeding Excursions, Evening Dinner Cruise, Zoo World, etc, etc. Rates are subject to change until confirmed. 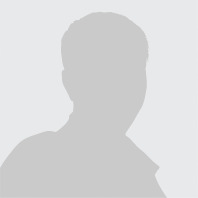 Holiday and special events can be additional costs. We rent to families with adults 26 years of age or older. Highly recommend. 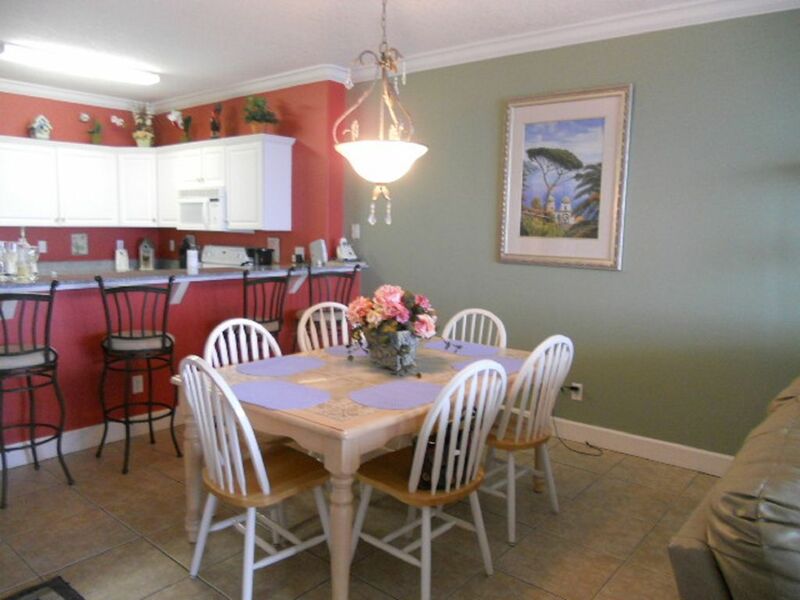 Well stocked kitchen, very clean, beautiful beach, and huge patio overlooking the PCB. Close to shops and dining. Great place! 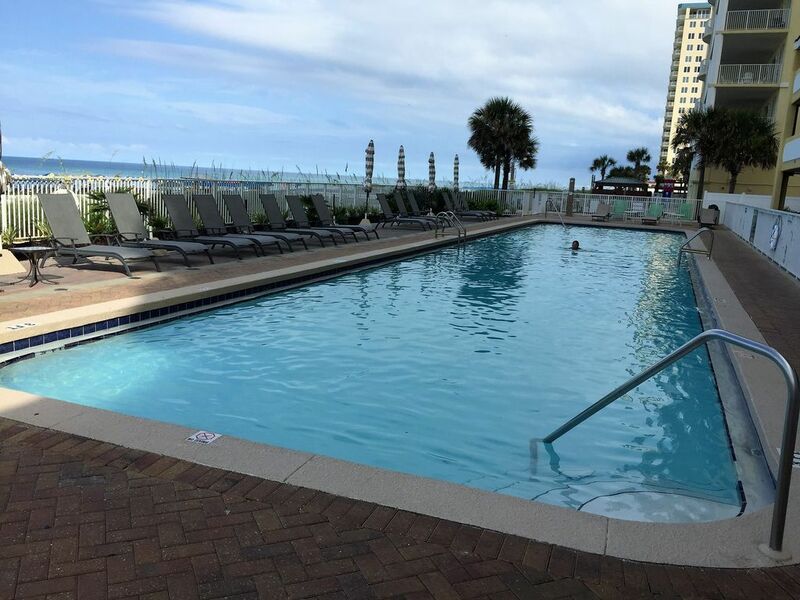 We absolutely loved this condo, very accommodating and felt like home away from home. We went as a family but great for couples too.Would highly recommend to others and would like to return in the near future. Our stay here was so wonderful! Very relaxing and such beautiful views. Right on the beach and the condo was awesome!! We feel fortunate to have found this condo, and return to it each winter. It is comfortably furnished with everything needed to make it feel like home away from home, and is walking distance to everything we need and comfortable driving distances to everything else. 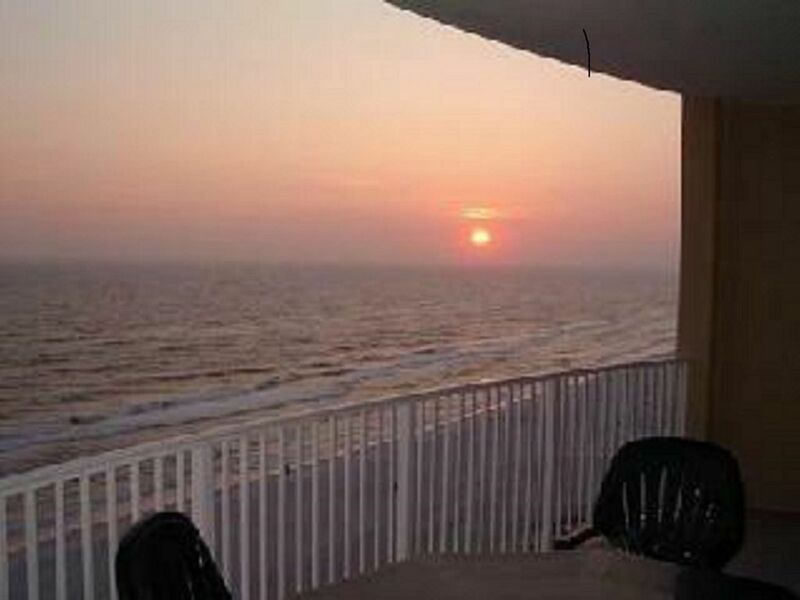 The view is beautiful, sunsets can be spectacular, and the owners are very accommodating. 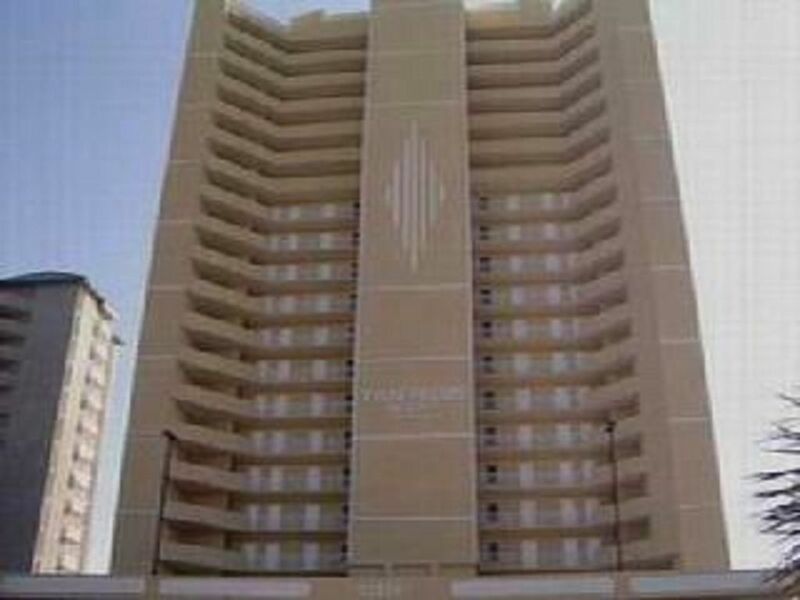 We are a retired couple, but this condo is very suitable for families as well. My family stayed for 5 nights and enjoyed every bit of it! Condo was clean, well laid out and had a great view. It was roomy and close to everything we needed. Only drawback we had was lack of area to put up tent for kids because of rental sun chairs. After the first day we realized we just had to be the first one out. For the money it was work every penny!